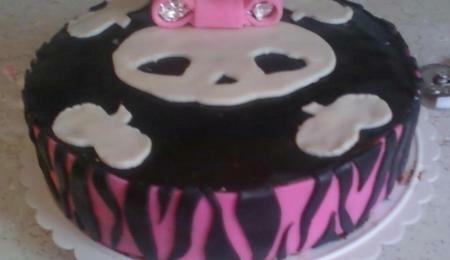 This is my first fondant cake, made it for a friend's birthday. Chocalate cake with butter cream frosting. Tried making my own fondant but had no success so I ended up using Duff's black fondant and Wilton's fondant for covering the cake and all the decorations.